Possibly the Detroit Lions’ next five offseason moves will have the most impact on the 2013 season — which players they re-sign, which free agents they lure to Detroit and who they draft. But it’s not like they’ve been sitting on their hands at the Lions practice facility since Jan. 1. 1. They released Titus Young. He had become a cancer. While it’s nice for teams to help out young players, there’s nothing more they could do for the troubled wide receiver. 2. Brian Xanders, who brings tons of NFL experience at the young age of 41, was hired as a senior personnel executive. He’ll be heavily involved in personnel decisions and will also get the Lions up to date on the latest technology developing a new proprietary scouting database. 3. Jim Washburn, most recently the defensive line coach of the Eagles, has been hired to help coach defense. He’s title is non-specific, but his years of experience (he’s 63) should be nothing but beneficial to defensive line coach Kris Kocurek and defensive coordinator Gunther Cunningham. Washburn’s son Jeremiah has been promoted to offensive line coach. 4. One of the toughest decisions was to release Kyle Vanden Bosch. A defensive leader and driven defensive end, he is past his prime. It was the right decision. 5. Letting right guard Stephen Peterman go was the start to a revamping of the offensive line which has played together for three seasons. Again, tough move but the right decision. Now that New England quarterback Tom Brady has signed an extension, Lions quarterback Matthew Stafford’s cap hit for the 2013 season ($20.3 million) is the third highest in the NFL behind Denver’s Peyton Manning and Giants’ Eli Manning per ProFootbalTalk.com. However, that should not be for long. Lions president Tom Lewand confirmed two weeks ago that the Lions will try to extend Stafford beyond the 2015 season. Lewand said the reason was to keep Stafford in Detroit more than to give the team salary cap space. Sounds good, but cap space is needed. Preliminary talks with Stafford’s agent and the Lions have begun per Albert Breer of the NFL Network. It’s a somewhat similar situation to the extension of Calvin Johnson a year ago which also gave the Lions salary cap relief. Johnson’s deal was finished in early March. NFL free agency starts March 12. Stafford signed a six-year, $72 million contract when he was the first overall pick in the draft in 2009. 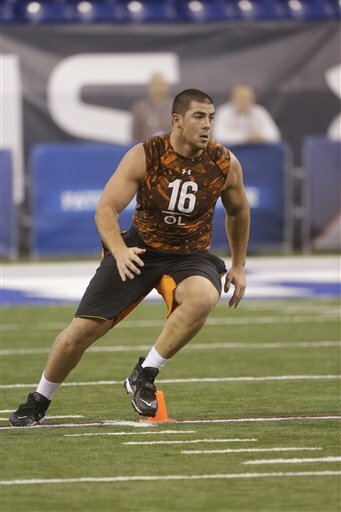 Since the NFL Combine, Central Michigan’s Eric Fisher has moved up four spots on Mel Kiper’s Big Board. ESPN’s NFL draftnik now rates the offensive tackle as the third best prospect in the draft. It’s not just Kiper who is impressed. CBSSports.com’s Dane Brugler has suggested it’s possible that Fisher will be the No. 1 overall pick in the draft — to Kansas City. Not only is Fisher (who played at Stoney Creek High School in Rochester Hills) the third-ranked prospect, but Kiper also has him ranked as the best offensive tackle. He is 6-foot-6 and 305 pounds and was a standout in the Senior Bowl. On many draft boards, Fisher leaped over Luke Joeckel of Texas A&M with an impressive Combine. Oklahoma offensive tackle Lane Johnson has really moved up — he’s third-best offensive tackle — after turning heads at the Combine with a time of 4.75 in the 40-yard dash. Pat Kirwan of CBSSports.com has Johnson going as the No. 1 pick to the Chiefs. With the fifth overall pick in the draft, it's possible the Lions will have a chance at Fisher. The offensive line will be revamped this season and it seems they'd certainly be able to find a spot for the Central Michigan kid. Join me for a live chat about the Detroit Lions at 3 p.m.on Thursday. Plenty to discuss. Free agency starts March 12 and the draft is now less than two months away. It was a bit of a surprise last year when the Lions drafted offensive tackle Riley Reiff with the 13th overall pick. While defense certainly has to be a priority in the draft for Detroit this April, it’s possible they could draft another offensive tackle in the first round. 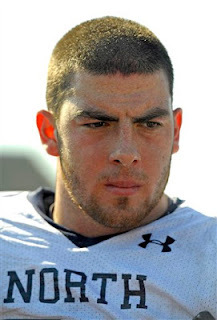 Central Michigan’s Eric Fisher (in photo) is projected as a top 10 pick and the second-best offensive to Luke Joeckel from Texas A-M. Fisher, who played at Stoney Creek High School in Rochester Hills, should be available to the Lions with their fifth overall pick. “From my perspective, when I put (Fisher’s) first tape on and was able to see him all week at the Senior Bowl, the first thing I thought of was Joe Staley, and I thought he's better than Joe Staley, which says a lot,’’ NFL Network analyst Mike Mayock said in a conference call this week. 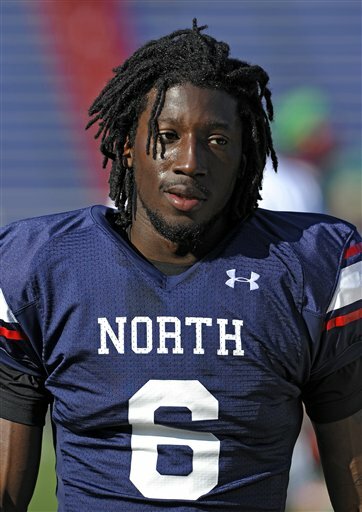 “At the Senior Bowl, I thought he answered every question. I thought he showed a little more upper body strength than I thought he had. He had great feet. He's long. I think he's that prototype left tackle, and I don't think there is as much difference between him and Joeckel as a lot of people think,’’ Mayock added. Mayock is not alone in his assessment of Fisher. ESPN draftnik Mel Kiper has Fisher (6-foot-7, 306 pounds) ranked seventh on his big board and also as the second best offensive tackle behind Joeckel who he ranks as the second best overall player available in the draft. The Lions have some questions on the offensive line. Left tackle Jeff Backus will be entering his 13th season and right tackle Gosder Cherilus will be a free agent. Right guard Stephen Peterman was cut. Riley Reiff, entering his second season, is ready for prime time. Three other offensive linemen on the roster could compete for starts — Bill Nagy, Jason Fox and Rodney Austin. 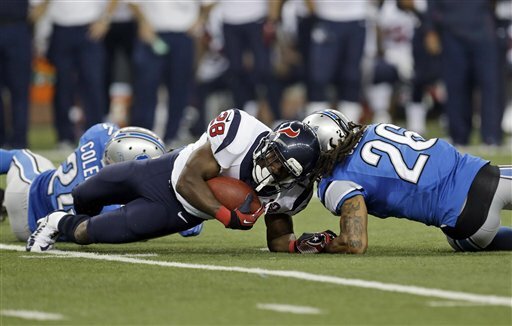 The NFL is looking at changing the red challenge flag rule that was costly to the Detroit Lions in the loss to Houston on Thanksgiving. Schwartz threw the red flag on a scoring play that would have been automatically reviewed. The rule says if that happens, the play won’t be reviewed at all. It’s the rule, but it’s idiotic. If you remember the Texans scored a touchdown in the third quarter when Houston’s running back Justin Forsett ran straight up the gut and then looked like he got tackled with his left knee and left elbow on the turf. But he got up and kept going 81 yards into the end zone. The Lions didn’t chase him because they thought he was down and they were right. There was talk of changing the challenge rule midseason, but it didn’t happen. Now the NFL Competition Committee is going to recommend that owners change it when they meet in March. The committee met Wednesday in Indianapolis. “The bottom line is that we will get resolution on that play where we will get it right, where the play on the field is correctly administered,” NFL executive vice president of football operations Ray Anderson said after the meeting, according to the Associated Press. Can an NFL team ever have too many cornerbacks? Not really. The Lions, always in need at corner, will have a shot at Dee Milliner, the top corner in the draft, with the fifth overall pick. He could be gone or they could think he’s a reach with that pick. There’s quite a drop-off of talent at corner after Milliner. But with some good times at the NFL Scouting Combine this weekend that could change. Many eyes will be on cornerbacks like Johnthan Banks (Mississippi State), Xavier Rhodes (Florida State) and Desmond Trufant (Washington) as they run the 40. Jordan Poyer is considered the fifth-best cornerback but there are others who could improve their stock at the Combine. Mayock said when he was watching tape on Banks, his eye went to his teammate Darius Slay who could be a third- or fourth-round pick. “After Milliner, nobody knows who the second corner is. That is one of the questions that could be answered this weekend. Who runs fast, who looks the best?’’ the analyst said. Defensive backs will be tested and run at the Combine on Tuesday. Think you can run the 40 faster than the NFL Network’s Rich Eisen? 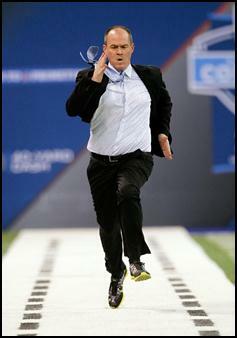 Last year Eisen ran a 6.04 time at the NFL Scouting Combine in a suit. This year the network is asking fans to film themselves running the 40 at work in their work uniform. The best and worst videos will be featured on-air on Tuesday (Feb. 26) during the NFL Combine coverage on the NFL Network. Beware. Eisen’s goal is to break the six-second mark. You’ll find the official rules at nfl.com/runrichrun. Upload your video to nfl.com/runrichrun or tweet a video link to @NFLNetwork. Fans will also be entered to win a $200 NFL Shop Card, and an autographed copy of Rich’s book — Total Access: A Journey to the Center of the NFL Universe. OK, now Nate Burleson is jumping on the bandwagon to get Reggie Bush to Detroit. Burleson made his plea on the NFL Network on Monday morning. The veteran running back, who has spent last two seasons with Miami, will be a free agent. The Dolphins have made it clear they don’t want him back. Bush will turn 28 in March and could provide a much-needed spark in the Lions’ run game. The big question is the cost. But that’s not Burleson’s concern. Last week Sports Illustrated’s Peter King and the NFL Network analyst Willie McGinest came out to say they think Bush would be a good fit in Detroit. Kicker Jason Hanson and left tackle Jeff Backus, two of the longest-serving Detroit Lions, have been spotted in the Lions practice facility recently. Possibly it signals that both are planning to return, but it’s not a certainty according to team president Tom Lewand. Hanson, who has been the kicker for 21 seasons, is a free agent while Backus is under contract through the 2013 season. “We keep the conversation going with Jason and we’re very respectful, but we haven’t come to any agreement about a contract going forward,’’ Lewand said on Friday. At the end of the season, Hanson said he wanted to clear his mind before he made a decision on whether to return for his 22nd season. Backus, who has started every game except for one for 12 seasons, has not addressed his future. At the end of the season, left guard Rob Sims said he was going to call Backus every day to convince him to return. “Jeff is under contract and Jeff’s been in the building, but nothing new to report,’’ Lewand said. He said he hasn’t heard anything that would lead him to believe that Backus won’t be back. “I haven’t heard anything different from him. I don’t have anything to announce one way or the other again. My expectation is, that barring anything, he would tell us if he’s going to be here,’’ Lewand said. Kyle Vanden Bosch, Stephen Peterman and Titus Young were released last week. Lewand would not say if there are other cuts planned, other than to say that putting together the roster is a fluid process. 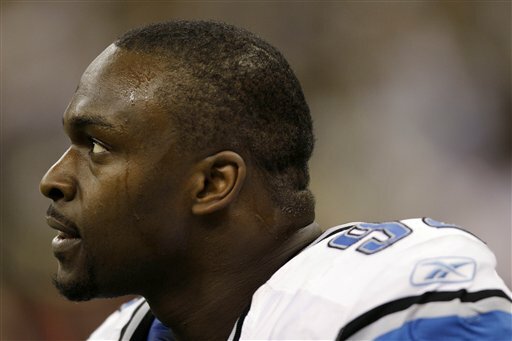 Cliff Avril, an unrestricted free agent, is just one of several question marks for the Lions on defense. The defensive end said his chances of returning to the Lions are about 50-50 in an interview on the NBC Sports Network this week. 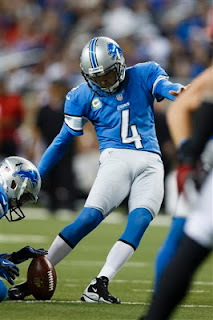 Avril couldn’t reach a long-term deal with the Lions last offseason so he was franchised for a year at $10.6 million. While Avril has played mostly at left defensive end, last week GM Martin Mayhew said Avril is versatile enough to play either side. “He can do a lot of different things, he’s a very talented guy. He’s got a lot of versatility,’’ Mayhew said. After the Lions released Kyle Vanden Bosch last week, certainly defensive end is a position of need. It’s just another reason the Lions need Avril back. He had 9.5 sacks, 35 tackles and a pair of forced fumbles last year and he’s just 26 years old. While he hasn’t had to be a leader on the defensive line with Vanden Bosch and Corey Williams around, Avril definitely has leadership capabilities — much more than Ndamukong Suh or Nick Fairley. When he didn’t sign the long-term deal the Lions offered last year, he was betting on himself. Betting that he would have another good season. Was it a good bet? Mayhew said that Lions’ recent history has shown that for the most part they have been able to get back the players they want. The Lions don’t necessarily have to wait until free agency starts to improve their defensive backs situation. Veteran safety George Wilson, who was released by the Buffalo Bills on Monday, will visit Thursday as was first reported by CBS Sports. He started the last two seasons (210 tackles, four interceptions) at Buffalo at strong safety after making the transition from wide receiver in the 2007 season. Oddly enough, he was signed as an undrafted free agent in April 2004 by the Lions. After he was cut, he was signed to the Bills practice squad in the fall of 2004. Not only is safety very much a need for the Lions, but the 31-year-old Wilson could bring that much desired veteran leadership too. In his eight seasons with Buffalo, he was voted a team captain five times. Like defensive end Kyle Vanden Bosch, who the Lions cut last week, Wilson was the team’s NFL Players’ Association representative. Currently the Lions have three safeties on the roster — Don Carey, Tyrell Johnson and special teamer John Wendling. The Lions have to make a decision on restricted free agent Amari Spievey, who has suffered two concussions in the past year. He’s been cleared to practice after missing the final 10 games of the season after sustaining a concussion on Oct. 22 at Chicago. Wilson and veteran linebacker Nick Barnett were released by the Bills Monday. Both essentially are salary cap casualties. According to the CBS report, Wilson also has a visit scheduled with the Tennessee Titans. Join me for a live chat on the Lions today (Thursday) at 3 p.m.
Two things struck me as odd when it was reported that the St. Louis Rams picked Titus Young up off waivers on Tuesday. First, Rams coach Jeff Fisher and Lions coach Jim Schwartz are buddies. So Fisher must know the whole story of Young. Still, he took a chance. Secondly, that happened fast. Thought Young might land another job but not this quickly. It’s really a low-risk/high-reward move for the Rams. They can cut Young if he acts up or is no good and they haven’t lost anything. One last word: Good luck, St. Louis. He’s all yours now. When it comes down to it, the NFL is a business. Some roster moves are harder than others. The Lions have cut veteran defensive end Kyle Vanden Bosch, according to reports. It could not nave been an easy decision. Vanden Bosch, 34, was brought in three seasons ago as a free agent. Coach Jim Schwartz made the trip to his home in Tennessee and was at his doorstep the minute free agency started. The two had worked together for years with the Tennessee Titans. Vanden Bosch was brought in because he could still play. But almost as important he was such a good leader in the locker room. Totally professional. Cliff Avril just tweeted that Vanden Bosch took him under his wing. He called him a great teammate and a great person. With Vanden Bosch gone, the Lions will need someone on the defensive line to step up as a leader. Avril could do it, but he’s an unrestricted free agent and not a lock to return. Earlier Tuesday the Lions cut right guard Stephen Peterman. 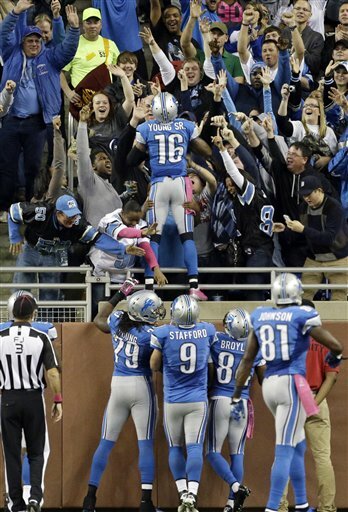 On Monday they cut ties with wide receiver Titus Young. What does the release of right guard Stephen Peterman mean for the Detroit Lions’ offensive line? Left tackle Jeff Backus and center Dominic Raiola each have a year left on their contracts. Backus is set to make $2.25 million plus $500,000 roster bonus. Raiola’s 2013 contract is for $4.05 million plus a $250,000 roster bonus. Right tackle Gosder Cherilus, who had a good season, is an unrestricted free agent, while left guard Rob Sims is signed through 2014. Riley Reiff, the first-round pick in 2012, is ready to step in and start at either guard or tackle, although GM Martin Mayhew sees him at tackle. Will Backus return for his 13th season? Will Cherilus, a first-round pick in 2008, be re-signed? — Guard Rodney Austin, who was signed as an undrafted free agent after the 2012 draft and placed on the practice squad to start the season. 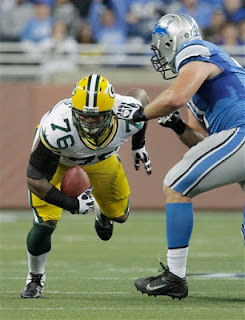 — Tackle Jason Fox, a fourth-round pick in 2010, finally had an injury-free season in 2012 but played in just one game. He played in four during his rookie season. He’s a restricted free agent. 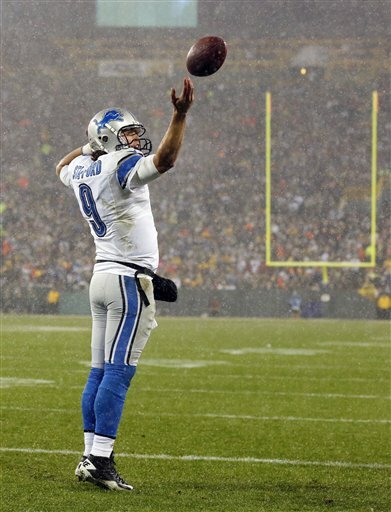 — Center Dylan Gandy, an unrestricted free agent, has been with the Lions since 2009. — Corey Hilliard, an unrestricted free agent, has been with the Lions for four seasons but didn’t play in a game in 2012. — Guard Bill Nagy, who is signed through 2014, was claimed off waivers in August 2012. He was sidelined for the season after ankle surgery, but kept on injured reserve. A seventh-round pick out of Wisconsin in 2011, he can play guard or center. 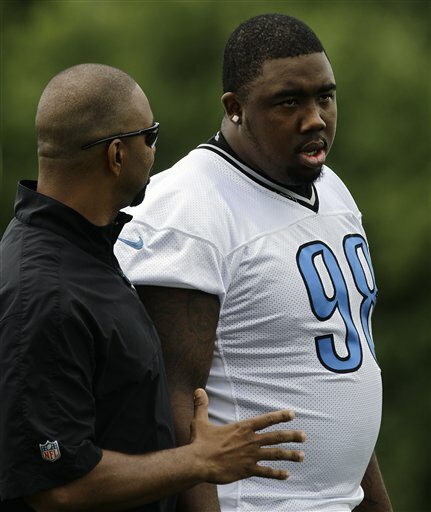 When the Detroit Lions cut Titus Young on Monday, that left just two members of Detroit’s 2011 draft class — Nick Fairley (first round) and Mikel Leshoure (second round). Yes, they only had five picks in that draft. But when you have a limited number you have to make each one count. Linebacker Doug Hogue (fifth-round) and offensive tackle Johnny Culbreath (seventh round) had previously been cut. Hogue had played on special teams in five games before he was released on Oct. 22, 2012. 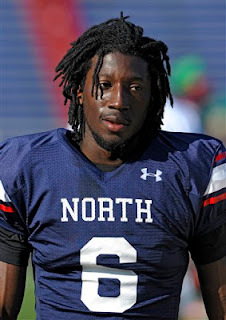 Culbreath had been arrested in the spring of 2012 for marijuana possession and was cut just before camp started. Fairley and Leshoure were each arrested twice in the spring of 2012. Leshoure was suspended for the first two games of the season. For the NFL draft this year (April 25-27) the Lions have picks in each round except the fourth which was traded during the draft last year to acquire Tahir Whitehead. In the first round they have the fifth overall pick.